On the 24th (Sun), wander the streets of Cannaregio, contemplate in the serene atmosphere at San Giorgio Maggiore, then pause for some serene contemplation at Scrovegni Chapel, and finally take in the spiritual surroundings of Basilica di Sant’Antonio - Basilica del Santo. Get ready for a full day of sightseeing on the next day: pause for some serene contemplation at Basilica dei Frari, head off the coast to Isola di Burano, then contemplate the long history of Scala Contarini del Bovolo, then take in the views from Ponte dei Sospiri, and finally take a stroll through Dorsoduro. For other places to visit, reviews, and other tourist information, go to the Venice sightseeing planner. Perth, Australia to Venice is an approximately 27-hour flight. The time zone difference when traveling from Perth to Venice is minus 7 hours. Traveling from Perth in September, expect Venice to be somewhat warmer, temps between 28°C and 19°C. Finish your sightseeing early on the 26th (Tue) to allow enough time to take a train to Verona. 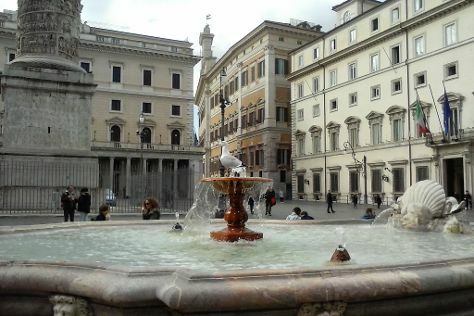 Step off the beaten path and head to Piazza Bra and Parco Natura Viva. Get a sense of the local culture at Il Vittoriale degli Italiani and Palazzo Te. Venture out of the city with trips to Grotte di Catullo (in Sirmione) and Borghetto sul Mincio (in Valeggio Sul Mincio). There's much more to do: explore the historical opulence of Castelvecchio Museum, contemplate in the serene atmosphere at Chiesa di Sant'Anastasia, make a trip to Piazza dei Signori, and take in the architecture and atmosphere at Basilica di San Zeno Maggiore. To find where to stay, traveler tips, maps, and other tourist information, go to the Verona sightseeing planner. Traveling by train from Venice to Verona takes 1.5 hours. Alternatively, you can drive; or take a bus. In September, plan for daily highs up to 29°C, and evening lows to 17°C. Cap off your sightseeing on the 29th (Fri) early enough to catch the train to Florence. Satisfy your inner culture vulture at Abbazia di San Miniato al Monte and The Baptistery of St. John. Explore hidden gems such as Pitti Palace and Centro Storico di Siena. Go for a jaunt from Florence to Siena to see Tower of Mangia about 1h 25 min away. There's still lots to do: browse the exhibits of Museo Nazionale del Bargello, admire the landmark architecture of Basilica of Santa Maria Novella, explore the world behind art at Museum of Opera of Saint Maria of Fiore, and indulge your senses at some of the top wineries in the area. For photos, more things to do, and more tourist information, use the Florence tour planner. You can take a train from Verona to Florence in 1.5 hours. Alternatively, you can drive; or take a bus. In September in Florence, expect temperatures between 32°C during the day and 18°C at night. Finish your sightseeing early on the 1st (Sun) so you can travel to Portoferraio. Portoferraio is a town and comune in the province of Livorno, on the edge of the eponymous harbour of the island of Elba. Kick off your visit on the 2nd (Mon): enjoy the sand and surf at Spiaggia della Biodola, then admire nature's wide array of creatures at Acquario dell'Elba, and then kick back and relax at Spiaggia di Cavoli. Get ready for a full day of sightseeing on the next day: enjoy the sand and surf at Spiaggia Di Sansone, enjoy the sand and surf at Spiaggia di Capo Bianco, and then look for gifts at Gelateria Zero Gradi. To find photos, other places to visit, maps, and more tourist information, use the Portoferraio custom trip planner. You can do a combination of car and ferry from Florence to Portoferraio in 3 hours. Another option is to do a combination of train and ferry. Traveling from Florence in October, expect nights in Portoferraio to be about the same, around 17°C, while days are slightly colder, around 22°C. Finish your sightseeing early on the 4th (Wed) so you can travel to Assisi. 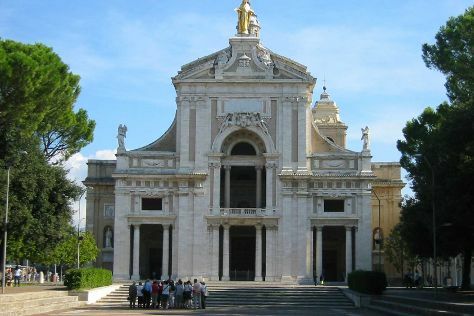 Your cultural itinerary includes sights like Santa Maria degli Angeli and Basilica di Santa Chiara. Eschew the tourist crowds and head to Eremo delle Carceri and Grotte di Frasassi. Explore Assisi's surroundings by going to Rocca Paolina (in Perugia) and Fabriano (Cattedrale di San Venanzio, Duomo & Museo della Carta e della Filigrana). The adventure continues: take in the spiritual surroundings of San Damiano, don't miss a visit to Porziuncola, pause for some serene contemplation at Basilica Papale San Francesco D'Assisi, and step into the grandiose world of Rocca Maggiore. For reviews, traveler tips, and more tourist information, read Assisi trip itinerary planner. Do a combination of ferry and car from Portoferraio to Assisi in 4.5 hours. Alternatively, you can do a combination of ferry and train; or do a combination of ferry, train, and bus. Traveling from Portoferraio in October, Assisi is slightly colder at night with lows of 12°C. Wrap up your sightseeing on the 7th (Sat) to allow time to drive to Orvieto. 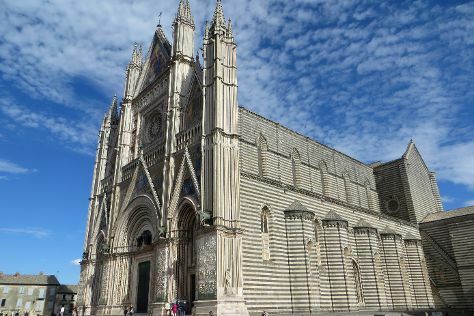 Start off your visit on the 7th (Sat): contemplate the long history of Pozzo di San Patrizio, then learn about winemaking at Custodi Winery, and then contemplate the long history of Duomo di Orvieto. To find where to stay, photos, and tourist information, read our Orvieto vacation planner. You can drive from Assisi to Orvieto in 1.5 hours. Alternatively, you can take a train; or do a combination of train and bus. In October in Orvieto, expect temperatures between 24°C during the day and 13°C at night. Finish your sightseeing early on the 7th (Sat) so you can take a train to Rome. Family-friendly places like Zoomarine and St. Clement Basilica will thrill your kids. You'll discover tucked-away gems like Villa d'Este and Church of St. Louis of the French. When in Rome, make a side trip to see Ostia Antica in Ostia Antica, approximately 44 minutes away. There's still lots to do: take in the architecture and atmosphere at San Pietro in Vincoli, don't miss a visit to Rome Historical Center, ponder the design of Santa Maria in Trastevere, and take in the spiritual surroundings of Abbazia di San Paolo fuori le Mura. For other places to visit, traveler tips, and more tourist information, refer to the Rome itinerary builder. Traveling by train from Orvieto to Rome takes 1.5 hours. Alternatively, you can drive. In October, plan for daily highs up to 26°C, and evening lows to 15°C. Wrap up your sightseeing by early afternoon on the 11th (Wed) to allow enough time to travel back home.